Wade Ormsby takes a two-shot lead into the final round of the ISPS Handa Vic Open after a testing day at 13th Beach Golf Links. After very low scoring in the opening two rounds, high winds and some heavy rain made life far more difficult on Saturday, with Ormsby recovering from an early double-bogey to card a two-under par round of 70 and move to 15 under par. “I made a bit of a meal of it straight out of the box. It was just tough out there. Warming up we knew it was going to be a really tough day, trying to find a way to keep the ball down. I just kept grinding really. That’s all we can do in weather like that. You’re going to hit a lot of bad shots, need to recover a lot and I did that quite well, so I’m happy. 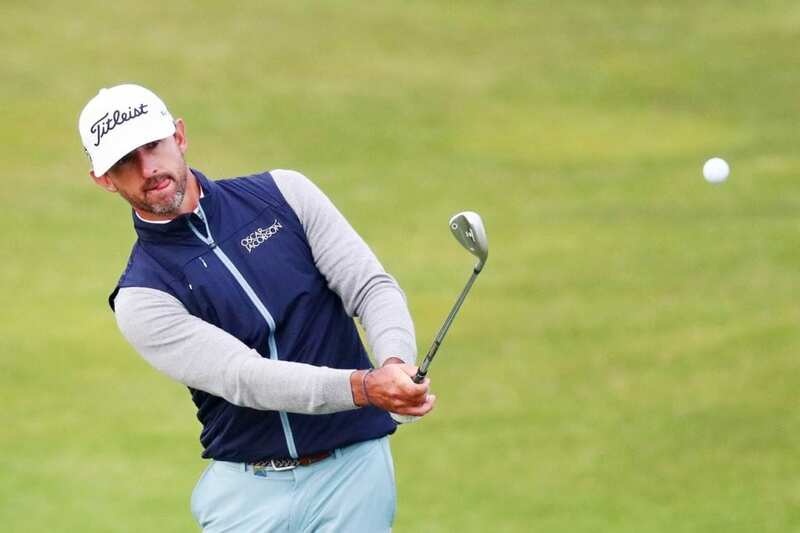 Ormsby claimed his first European Tour title at the 264th time of asking at last season’s UBS Hong Kong Open en route to finishing a career-high 48th on the Race to Dubai Rankings presented by Rolex. 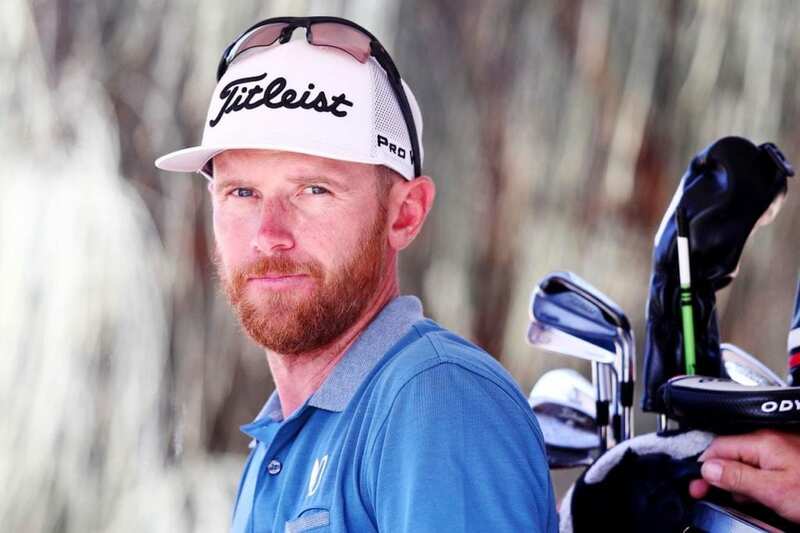 The 38 year old Australian is now eying a second title just over a year later on home soil. His countryman Matthew Stieger, who teed off in the first group, recorded the round of the day with a stunning 65 to sit at 13 under par alongside England’s Callum Shinkwin, who signed for an impressive 66. “ We got hammered with the rain for about three or four holes there, so it was really good to get through that stretch,” said Stieger. “No bogeys today, which is really nice. Just stuck to my game plan out there. Sort of had to hit away from a few flags because they were tucked a little bit, but made really good use of the ones that I could go at. Challenge Tour graduate David Law of Scotland, South African Justin Harding and Australia’s Brad Kennedy are three shots off the lead at 12 under par. Australian David Bransdon, Nicolas Colsaerts of Belgium and Irishman Paul Dunne are one shot further back at 11 under par. “It was playing really difficult,” said Law, “17, for example, we had it playing a four-club wind. You needed to hang in, you needed to be in control of your ball and get a bit lucky at times and hole some putts, which luckily I did. 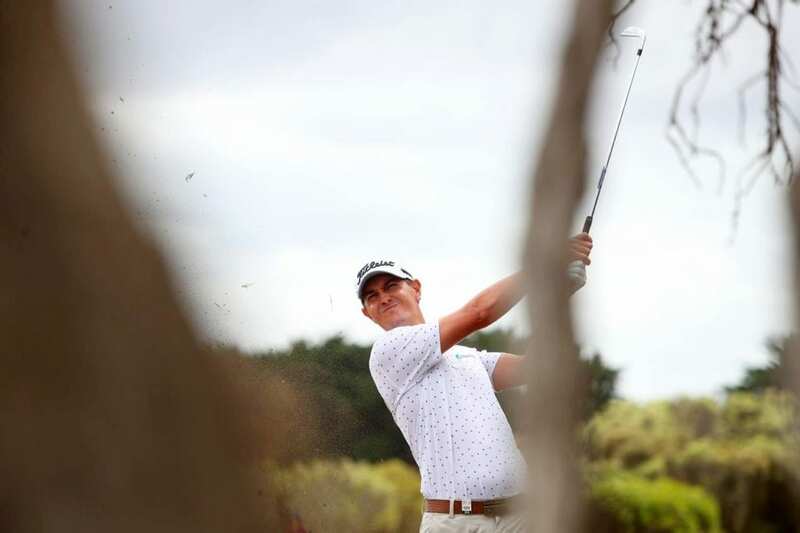 The two fields of 156 players teed off in alternating groups over the Beach and Creek courses in the first two rounds, with the action taking place on the Beach layout over the weekend. 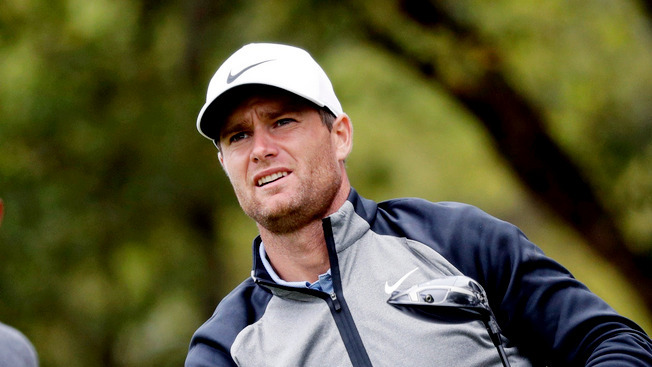 After a second cut at the end of round three, each field is cut to 35 players and ties. In the women’s event, American Kim Kaufman had a late stumble but takes a two-shot lead into the final round after moving to ten under par with a round of 75. Celine Boutier of France matched the lowest round of the day with a 69 to sit alongside home favourite Su Oh at eight under par. He was then joined by overnight leader Flanagan, who followed up a ten under par 62 with a second round 68 on the Beach course. He had earlier moved into a slender lead before dropping his only shot of the day on the 16 th hole to take a share of the lead with Scrivener, one shot ahead of countryman Wade Ormsby. “I think yesterday was a bit of a surprise, but at the same time I played well and kind of got everything out of my game. I’m probably happier with today’s round considering it was backing up that 62. “ The last three or four holes it got a little tricky, and from what I’ve seen in the weather report it’s going to be blowing another 10 or 15 kilometres stronger tomorrow. It definitely makes a couple of holes really tricky and anybody that can keep it on the ground a little quicker over the weekend is going to do well. Home favourite Nick Flanagan recorded a brilliant round of 62 to take a two-shot lead at the end of a low-scoring first day of the ISPS Handa Vic Open. Flanagan opened with a ten under par total – one shot away from the course record on the Creek course at 13th Beach Golf Links. 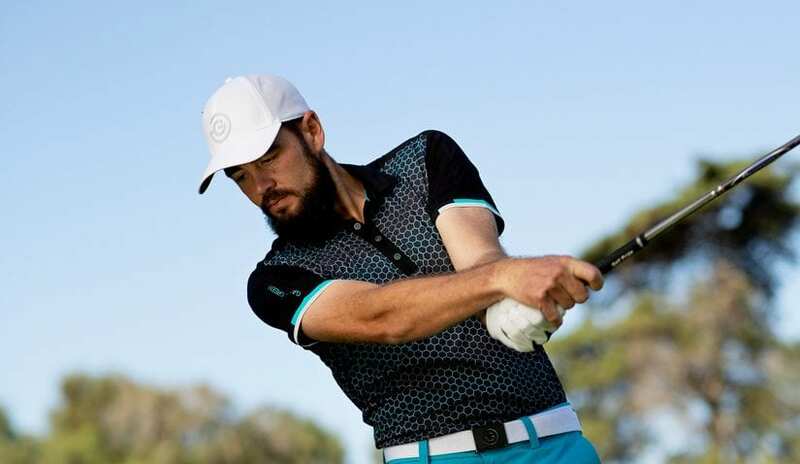 The 34 year old has six professional wins worldwide but is chasing his first European Tour title in just his 16th event after finishing in the top ten at this season’s Australian PGA Championship. “I had a bogey when I was at six under, and then next thing you know, birdie, birdie, eagle and you’re at nine under. The rest of it is history. So, it can come up that quick. After teeing off from the tenth, his incredible run from the 15 th to the fifth matched the feat of 1989 Open Championship winner Mark Calcavecchia at the 2009 Canadian Open on the US PGA Tour. “I don’t hold any other world records that I know of, so to be a part of one is pretty cool. Had a good chance for that 10th birdie, but I didn’t want to break it. It’s such a longstanding record, I wouldn’t do that to Mark (Calcavecchia), so it’s good to hold it with him. Austrian Bernd Wiesberger made nine birdies in a row at the 2017 Maybank Championship but with preferred lies in play on that occasion, Nitties’ run of nine consecutive gains made him the first player to officially do it on the European Tour. Afrasia Bank Mauritius Open at Anahita champion Kurt Kitayama and another local star in Jason Scrivener are also at eight under par after playing the Creek course, a shot clear of Scotland’s Grant Forrest, Swede Anton Karlsson and five Australians – Peter Cooke, Matthew Griffin, Lucas Herbert, amateur Andre Lautee and Wade Ormsby. “It was good, really solid,” said Kitayama. “Just dropped one shot on the last there, but overall I was happy I was able to get some scoring on the back nine. A lot of opportunities on that Creek side, for sure. Just felt like I didn’t take advantage of the front, but I was able to make up for it on the back. 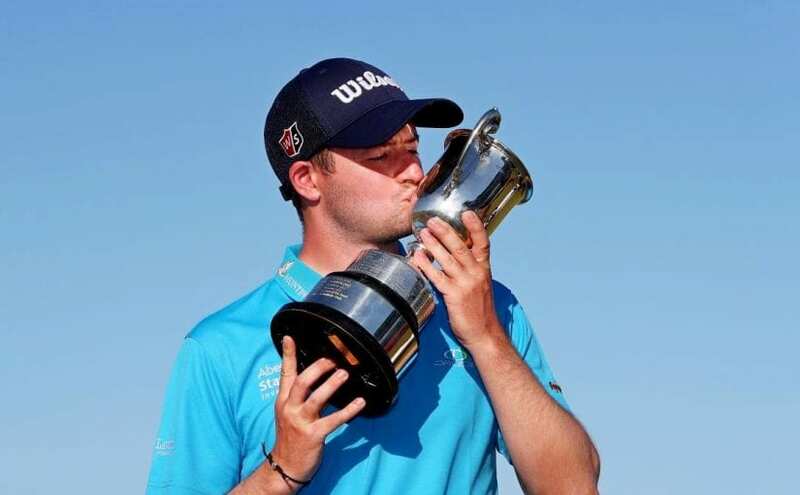 The innovative ISPS Handa Vic Open is making its first appearance on the Race to Dubai, with men and women playing over the same layouts in separate tournaments for equal prize money. 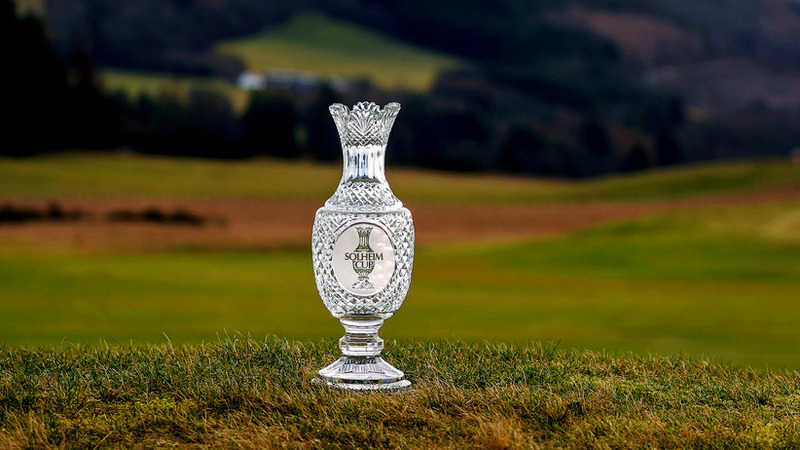 The men’s event is co-sanctioned by the European Tour and the ISPS Handa PGA Tour of Australasia, while the women’s championship is co-sanctioned by Australian Ladies Professional Golf and the Ladies Professional Golf Association.